After reading about ¼ of Cyrus’ latest poetry collection, I could tell just how much they had grown since the publishing of their first collection, which I felt a slight disconnect from. When it comes to Masquerade, that it not the case – I felt so seen at times that I almost felt stripped bare. I think that was Cyrus’ intentions, for an “unmasking” if you will. 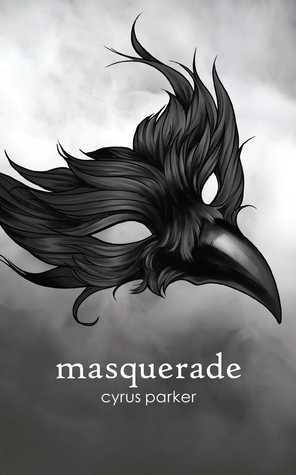 Some of my favorite poems from Masquerade are: “better late than never,” “fault lines,” “hate/hate relationship,” “i am become,” and “space.” In “hate/hate” relationship,” I saw myself. I truly saw myself, like I was looking in a mirror and was watching myself be dissected. I’ve always dealt with body image issues, and this particular poem hit home. I can’t wait to see what projects Cyrus is working on next (I know that this collection hasn’t technically come out yet, but the publishing industry moves quickly – what else can be said). I’ll definitely be picking up more of their working in the future.